Quote from: "Miles More Magic"
Hello Oswald and thank you for doing this interview. Do you feel there is a balance between creating new shapes to help people to create new or better designs, against making it too easy to make some models? A/ Well, this depends and it is a very subjective situation. When you come to the creativity arena, everything counts. I think that we as a manufacturer must watch and observe where the artist are trying to go and also have a good reading about your wishes. We are now working to figure out what new shapes can we put on the market to bring you more possibilities but always the ideas should come from your fantasy. Are some of the designs meant for public, rather than Twisters? A/ We are more focus to the Twisters today. Shapes are a very small part of the business. I can see that ready made models, that just need to be blown up, such as a caterpillar or snake, are brilliant for somebody to buy from a shop, but would hope that somebody wouldn't charge to make a balloon model, then just blow one of these shapes up. This isn't a criticism of shapes, I just wondered about the thought processes involved. A/ Shapes we deliver are not printed so it does not have a real meaning to anyone until you built something. As said before the shapes are not really sold on shops for the end consumer. A different question now, if I may. How are the choices of colours made? Are any changed due to feedback you have? Do you feel that you are at or near the limit, of colours? A/ Color trends is something that runs all the time with fashion and aspirational situations of the human being. We are all the time following the path of the fashion trends and use all the possible feedback we can track in the fashion orld trends. With 83 colors we estimate we are close to have a evry complete response to the color needs but there is always room for suprises. We have now a new Fashion Mango or a Satin Pearl Fuschia just to mention two of several new colors. Colors and taste run very close. The colours I have bought so far I have been very pleased with. They are definitely more solid and brighter than from "the other" place. A/ Thank you for your kind comments and questions, I hope my anwers will please you. Hello Oswald. I have a question for you but I suppose its a bit political. I believe that many people who sell certain balloons of another brand will not sell your brand of balloons because they have been told they will no longer be able to deal with the other company if they do. I believe this is not ethical. Is it true that the other company has tried to squeeze you out and if it is what is your opinion about it? If this is awkward to answer I understand. Personally I use both brands. They both have their merits. One of the things I like about Sempertex is the extra length. Dont you dare Graham!!!! All questions are valid of course ! The situation you are mentioning is not the first time I am asked or receive a comment about it. We do not play these type of games, it is not of our style and most important: we do not need to do that. Everyone knows that any company that use this kind of tactics is at the same time making evident and showing its own weakness or incapacity and instead using the talent or the creativity they will use their power. It does not sounds like is a nice practice but we have to live with it and working very hard to come across it. Thanks for the interview. Is the company just a balloon manufacturer or do you produce latex for other things? "The David Grist Memorial Lecture" I'm sure he would go down a storm. 2, Who will take over the company from you? 3, When are you looking to retire & put your feet up? 4, Any plans on coming over to the UK soon? 5, What do you feel has been your greatest achievement with the Sempertex company? Before I get started on questions, I just want to say how much I love and use your brand of balloons. I really appreciate your continued effort to improve their quality when improvements were needed (like the nozzle end of the 360s) and also your diligence in fixing problems that crop up occasionally in your production line. Thank you! Q: Why do you not offer some of those specialty shapes in white? I mean the doll body is just the perfect shape for bowling pins and the swan is perfect for making John Christianson's seal pup, but both need to be in white in order to get the best effects. I would even use the caterpillar balloons in white if I could get them for making butterflies. The white body would make the color of the wing balloons look even prettier than they are now. Q: When some of your line isn't available at Tmyers (for instance) is that because of them or you? I've been trying to get my hands on some Metallic Yellow 160s for almost 2 years now and I would dearly love to be able to purchase Metallic Orange 260s in single color bags (the only way I can get the orange now is to purchase the assortment). Q: Most of your metallic line are just beautiful and a firmly established staple in my balloon apron. Most, but not all. Your Silver, Turquoise, and Terra Cotta miss the mark especially when compared to the others you offer. They are just to transparent for my tastes (but still pretty colors). Any chance of them improving? Thank you for your time and especially thank you for your balloons!!! Just wondered as there seems to be a problem in obtaining some of your products in some areas would you look at ether making the products that are not available in say the UK available via mail order direct from you (if someone from an area that had a local supplier tried to buy direct from you, could point them in the right direction). Or provide an online database that would show what suppliers hold what products and thus where we can purchase these items. A/ Hello Roger. We will take your advice and check with Oaktree Ltd. the Sempertex importer to the UK to find out some solution. The first step is to contact your actual supplier and pass him your needs. Please copy to us to have at least some idea of what are you looking for. There so many items that for Oaktree it is not easy to bring everything, so giving you us a hand will be very helpful. We appreciate very much your point. Hi Oswald, thanks for doing this interview. As Graham said someone should I will, can you tell us about your night out with those madcap twisters in Phoenix ? Maybe the Bristish sense of humor could be more appropriate to describe that taxi ride back to the hotel from the shopping mall;I will also try to use our latinamerican "magic realism" to describe it: inside the cab we were more persons than legally or even econommically it would be accepted, for sure more than five. So, there was a mix of arms, legs and hands and more than one was making small jokes. Suddenly one of us, intending to disimulate the noise, tried to explain the driver about out our religious community, how close we were and some other nice details this nice group and also about the all "priests and sisters" that were in the car. One of the sisters could not resist the emotion and screamed so strong that anyone could figure out something different was going one. The taxi driver could not concentrate driving and when the paroxism of the group was touching the sky, for the good luck of the driver we were on the hotel front door. A/ Everything is possible, lets check it. A/ I am just 50. At this time I am playing a 10 golf handicap, the urologist confirmed me that my prostate corresponds to the one of a 23 years old man, I still run 45 minutes and write a column for the 3rd most important newspaper more or less frequently. Let's say I am now on a very high high point but see I can still climb, so even I love the plan the long term, I think I have some more time to bother around. Of course I am now watching to identify that person who will take my place. I am 100% convinced that the organization have strong roots and a a good capacity to poject itself to future. Maybe it can also happen that some one buys the company in the next future and this question becomes different for me. A/ I am planning to come within the next 10 months. 5,What do you feel has been your greatest achievement with the Sempertex company? A/ To be in the world's best artists hands...and something that is on the way to come. 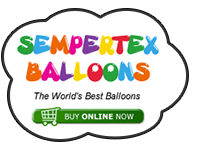 Thanks for SEMPERTEX balloons. They are great & I find that they are the most popular of all the balloons I use. People ask for them a lot as they like the vibrant & attractive colours. They are thick, strong balloons & I like the colour range. The one colour that I think SEMPETEX still needs is a ''lighter brown'' as the chocolate is often too dark for the sculpture. Light brown is important for making - various animals,people,hair,clothing,tree's,wooden instruments,tools,furniture etc. A/ Very good point. We will check this with Betallatex for the US market and include the white for the international market. Thank you iit is very helpful your feedback. A/ We will find a solution to this particular point for sure. A/ You are very welcome Bonnie, we are more than pleased to hear good things but also to receive your requests and wishes. A/ Thank you Daniel. Yes, you are totally right, we need to produce a lighter brown and we are working on that. Please be a little patient. I hope we can suprise you very soon. Thanks for Oswald for taking the time out of your busy schedule. A/ All my pleasure Steve. 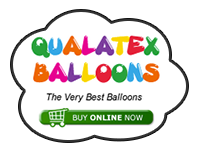 Yes, we produce all Betallatex balloons. In each country we have a distributor. In some market is is possible to have a stock but also we understand our distributors need some feedback for the market. Please let me know where you are. we can start from there to work on the issue. Thanks for taking the time to answer the questions as I know you are always busy.